Matt Krol Construction is a fully insured and licensed general contractor in Erie, PA. Matt owes his interest in construction to his dad, who put him to “work” replacing the roof on the family home when Matt was 9 years old. To this day, Matt thoroughly enjoys what he does, and – ask his wife – he eats, sleeps and lives his work. Matt worked for various contractors until he started Matt Krol Construction in 2002, without financial support, with a hammer and a drill. Matt has created a successful construction business in Erie, PA through hard work, dedication and the personal work ethic instilled in him at a very young age by his dad. Matt Krol Construction currently employs five full-time employees, some of whom have been with the company for 10+ years. 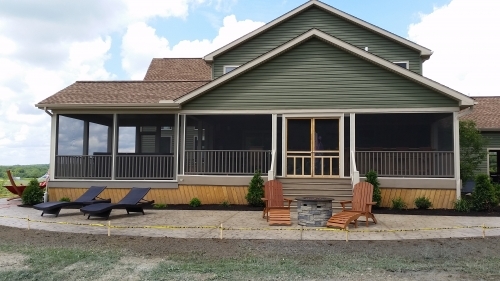 Together Matt and his employees are dedicated to completing interior and exterior remodeling services on a timely basis, to the customer’s satisfaction. They will work with the customer from conceptualization to finished project and can manage a “turn-key” construction project so the customer does not have to deal with multiple subcontractors.